You know those family legends that get passed down, and you know the core of them, but the details get fuzzy? Well this is one of those. Well, gasoline burns much faster than drinking alcohol. So, the fire raced down his throat and burned the inside of his stomach! All pretty tragic, but he actually survived and ended up in the hospital. When he was finally allowed to go home, they gave him strict orders not to eat any solid food. ‘Cause you know, burned stomach. Well, he felt so great on the pain meds he decided to eat a burger and punched a hole in his stomach, landing him back in the hospital an hour after he had been released. I was told this story many times as a child. I don’t know what the moral was. Don’t blow fire? Check the burn rate before you blow? Burgers kill? Whatever it was, the story is legend. What are your family legends? Anyone join the circus? Run away from the FBI? Share below! P.S. 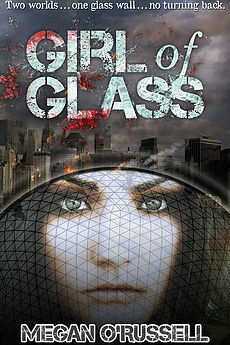 Don’t forget to enter the Goodreads giveaway for Girl of Glass for a chance to win a signed paperback!